We have added OANDA to our list of partners. If you haven’t updated your click.to program in awhile, you’ll want to do that now…..I’ll wait. “Never gonna let you down. Never gonna run around and desert you….” Oh wait, what? You’re done? 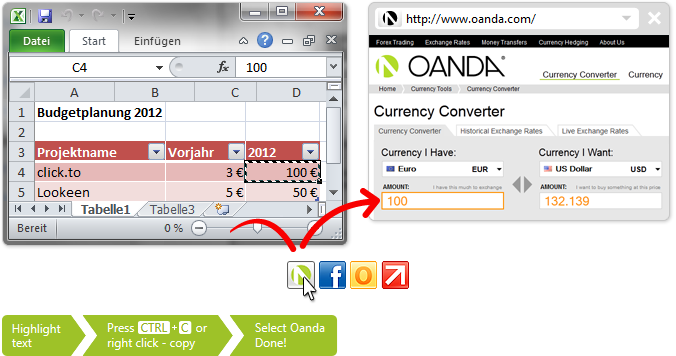 A little backround while we wait for the update to finish: OANDA uses innovative computer and financial technology to provide Internet-based forex trading and currency information services to everyone, from individuals to large corporations, from portfolio managers to financial institutions. 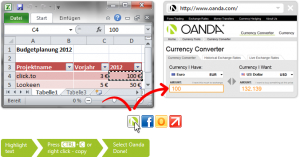 OANDA is a market maker and a trusted source for currency data. It has access to one of the world’s largest historical, high frequency, filtered currency databases.